Without the labels, the underground is stripped of an important aspect of the connection between the fans and the music. 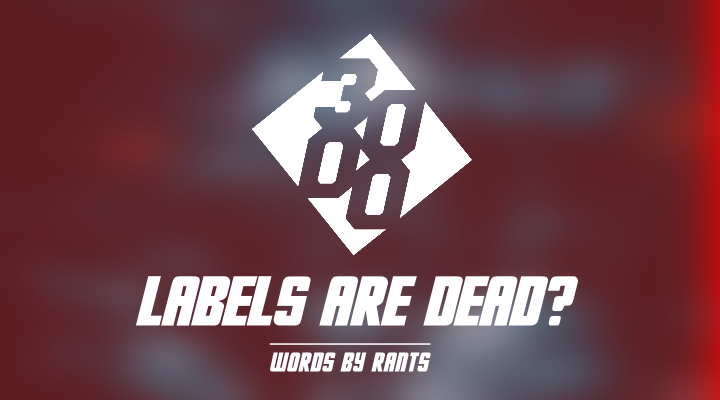 Labels are vessels, allowing producers to show off their artistry and if the aesthetics between the producers and the labels match, the end product can be something inspiring for fans of the music to take in and beyond. Once a label finds its direction, it can captivate people with its sound including bringing artists with the right ethos towards it. Producers and fans alike can find homes within the labels that speak to them the most, here are eight labels that are moving in the right direction. A behemoth of a label, White Peach’s output of consistently high quality releases is a testament to the imprint’s ravenous hunger for innovative music. The imprint over the last few years has triumphantly proven its pedigree for providing a platform for cutting-edge music. Headed by the wise wizard Zha, enlightenment saturated in his beard which is a thing of beauty (no homo), White Peach is more than just a mere label. With an online record shop that supplies the freshest music from the likes of grime, dubstep, hip-hop, bass and reggae, a booking agency booted with a roster of artists making waves in the underground and beyond, mastering & vinyl pressing services and cool looking merchandise for the fans to enjoy, White Peach runs a tight operation and it does it with ease. With sister labels Fent Plates and Yellow Flower too, the White Peach umbrella has a reach that spans across multiple genres and connects with a vast number of producers, just the sort of networks you need as a label to be able to put out a regular stream of releases. In short, White Peach stands as tall as a titan in the underground, both its presence and its music can’t be overlooked. A ghastly label with an even more ghastly sound. Mean Streets as the name suggests has mean music, bass at full throttle and an cutthroat approach to stressing out monitors and speakers galore. Lead by the greeze commissioner himself Trends, the label had its busiest year to date in 2018, notable releases including the single ‘Krueger’ featuring the ferocious bars and flows of Riko Dan and the impressive ‘Bedlam’, the debut album from Trends & Boylan featuring an all-star lineup of features from Spooky, Terror Danjuh, P Jam and Slimzee alongside more vocals from Riko. With the sort of fiendish sound that stabs at you rather than putting you blissfully at ease, the Mean Streets are not for everyone but among the twisted, almost psychopathic, bass drugged extravaganzas that the label carves, there’s an undeniable charm to them. Count on Trends, partner in crime Boylan or anyone else associated to the label to cause a stir, Mean Streets is here to stay. As a label, Plasma Abuse is a strange being, too sophisticated for the eski tones of grime but too heavy-handed to be lumped alongside wave and its melodic tendencies. In terms of originality, Plasma Abuse does this with abundance. Founded and run by the don Rapture 4D, Plasma Abuse represents the future for grime and beyond, symbolic of the way Scottish producers in particular go about experimenting with novel sounds and approaches. With a consistent stream of releases over the last couple of years, Plasma Abuse is building a nice catalogue of releases which shows what the imprint is about, breeding exciting talents with an emphasis on experimentation and pushing boundaries. When you add into the mix ethereal looking artworks for the releases, dripping in eclecticism, then you have a label that wants to stamp down an identity for itself, which is exactly what Plasma Abuse does. Not being afraid to go down a different route from everyone else, Plasma Abuse is one of a kind. Electronic, forward-thinking music, a breath of freshness the underground can appreciate. With a mix series, a number of free downloads to enjoy and a penchant for leftfield sounds, Italdred is your go to hub for different genres meeting at the crossroads, exuberance runs straight through the imprint. Owned by Neil Pruden, Italdred’s been about since 2014, in that time the label’s been a space for the likes of hip-hop, footwork, grime, R&G, dubstep and wave to thrive. The label’s mix series in particular is worth mentioning, nearly 40 mixes strong, building the foundations over the years and now the series continues to grow. Make no mistake, there are plenty of hidden gems found within the depths of Italdred, the free downloads in particular being great sources of joy (of course they’re joyous, they’re bank account friendly). Add in radio takeovers, recently on Subtle FM and last year on Cloak, 19 Hertz and Taipei Community Radio, broadcasting from China and Taiwan, you can come to the conclusion that Italdred aren’t a bit part label. With music that’s DJ and producer friendly, Italdred hit the right notes in the right places. Industrial, versatile grime of the Bristol variety. Sector 7 doesn’t have the biggest catalogue of releases but boy do they strike hard. Headed by Bristolians Lemzly Dale and Boofy, two of the leading dons from the city’s iconic underground hub for music, Sector 7 has it roots firmly intertwined with vinyl, an organic yet challenging way to draw a core base of support. However, what the label does superbly is make great music, energetic music, a bit on the intimidating side at times but in the sort of endearing way you quickly forget why you felt uneasy in the first place (listen to Hi5Ghost – ‘Nook Shot’, you’ll understand what I’m talking about afterwards, listen to Drone – ‘East Coast’ if you want that extra closure). Another selling point for Sector 7, their artworks feature the producers on the label as their younger selves so imagine that you’re spinning tracks by the likes of Boofy, Lemz, Hi5, Drone, Jook, Ishan Sound and Impey while seeing them as kids pressed on the vinyl, muaad. It’s not the biggest label but it definitely punches above its weight with what it puts out. Sector 7 enthralls and holds its own within both the vinyl and digital worlds. With a large variety of music in its catalogue from artists in the UK and beyond, Crown Jules is a gem of a label. With J Beatz steering the ship, you can expect to hear a few unknown names on the label, Crown Jules not being afraid of bringing new talents to the fore. With a lengthy catalogue of releases from the label, bringing together music from the likes of Russian based producer Creep N00M, American based producer BLVCK COVVBOYS, former Beat Boss champion Sware plus the main huncho J Beatz adding his patented blend of skippy funk in his productions, you can hear different varieties of grime from within the catalogue from the calm cuts of ‘Ambience’ and ‘Ambience 2’ to more aggressive sounding releases such as ‘Chestplate’ or ‘Chase’, even enjoy a release made up entirely of remixes titled ‘The Remix Project’. Crown Jules tends to churn out a number of releases a year so the work-rate doesn’t stop. More treasures are bound to come in the future. A label with a hungry appetite, Southpoint’s growing influence is to be praised. Repping Brighton, Southpoint has a clear understanding of building a roster of artists connected to it, a useful trait to have when it comes to building a movement. Run by Josh Gunston and Jay McDougall aka KXVU, Southpoint caters for new and exciting music coming out of UK funky, bass, garage, dubstep and grime. Southpoint has extra tricks up its sleeves; it loves a compilation or two with collaboration between various artists a key theme that keeps Southpoint together, it also has its Introducing series on SoundCloud, a place for fresh tracks from those affiliated with Southpoint, all freely downloadable to be enjoyed. The various artworks from both Southpoint and its Introducing series are impressive, easy on the eyes and alongside the music, the visuals compliment the projects well. KXVU even runs a Southpoint show on Trickstar Radio, a perfect way of releasing upcoming content plus shining a light on the MCs and producers with close ties to the label. Southpoint runs a big operation, nearly fifty releases in just four years of running. Southpoint clearly are not stopping any time soon. Mixing grime and dubstep together in the sort of way to erupt any dancefloor, that’s what Bandulu Records is here for. The Bandulu team is fiersome, Kahn, Neek, Boofy and Hi5Ghost, all Bristol natives and soundboy killers in their own rights. Teaming up to run an iconic label with the clear intentions of carving a name for itself, that’s something it’s done without a shadow of a doubt, the underground can testify to that. There’s a clear aesthetic with this label: greeze and grunge, plenty of it. Their ghoulish looking merchandise whether it be their much sought after vinyls or visually striking apparels are beautiful, truly one of a kind. Black & white are the main colours you’ll seen, Bandulu is straight to the point with how it appears. The music from the label is outstanding, perfect for clubs rigged up with massive sound-systems, the sort to make the floors shake from the bass trembling wherever you walk. Their ‘Bandulu Gang’ EP in particular is a real taster for what to expect from the label’s sound if you’re a newcomer to it. With every release, the levels remain sky high with Bandulu. Powerful sound-system music that compliments and respects the much heralded culture Bristol created. Without the labels, the music finds it harder to talk on a wider scale, the various traits and niches you hear within different genres can get lost. Labeling the music and the culture though helps to preserve it for years to come and bring about more innovation from new labels that are bound to take influence from the predecessors. Substance is dead. Substance abuse isn’t.